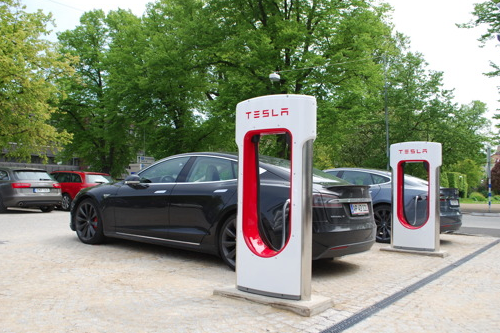 We recently learned that Tesla Motors has been unofficially selling a new charging station which looks just like a Tesla Supercharger, but with a limited output of 60KW versus the 120KW regular Superchargers are capable of. Tesla operates two different types of charging networks, the “Superchargers” and “Destination Charging“. Supercharger stations can charge a Model S at a rate of more than 300 miles of range per hour and they are mainly located next to popular routes to facilitate road trips.